Eliza And Her Monsters by Francesca Zappia has great anxiety representation. I related to how Eliza feels when anxiety does decide it wants to attack. It was just a great read all together. Go read it. Now. 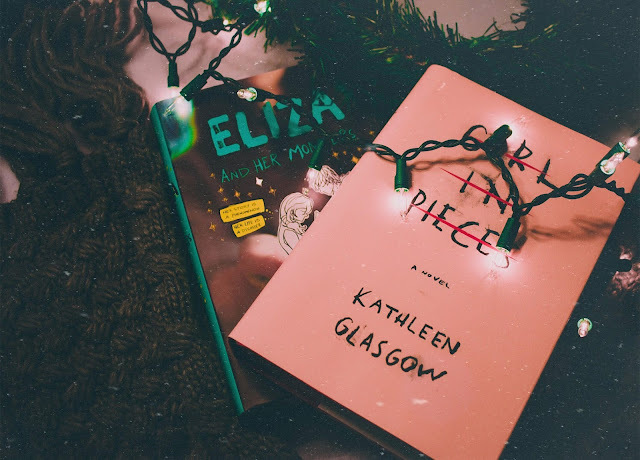 I haven’t read Girl In Pieces by Kathleen Glasgow yet. Scrolling through Goodreads, I’ve seen many high ratings and recommendations for this book. I’m not entirely sure which mental health disorder this book covers and I don’t know if it’s done well. Maybe I’ll see soon. What mental health books do you recommend?